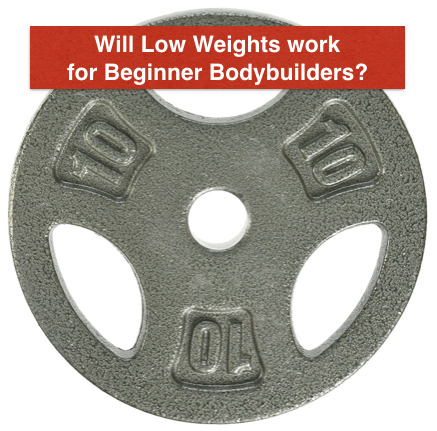 Since when did bodybuilding become a chore, a boring activity, a punishment to deal with if you want to build muscle? Most muscle builders train as if its a punishment handed down to them, an activity to be done with BEFORE they can start to enjoy life. Not True! Simple Not True! Bodybuilding is the most exciting part of your life, a goal worth pursuing and a journey worth enjoying every single day. I call it the Muscle Lifestyle and here are my 3 best tips to enjoy your muscle building journey and come out with smiles and results. 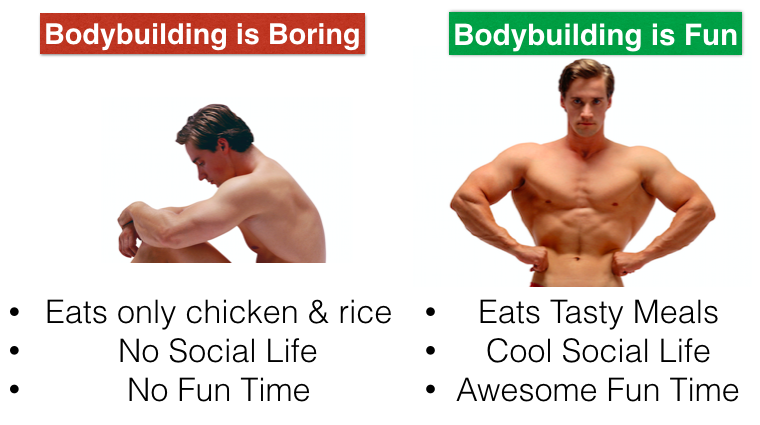 Bodybuilding lifestyle: Boring Vs Fun. and becoming everything you are capable of becoming is living The Muscle Lifestyle. Now that you know the difference, tell me. Do you love muscle? Yes? Great. If not, you will have a hard time building them. What you don’t love doesn’t hang on for long, dreams included. Muscle lifestyle is not just a style statement, its a life statement. It shows that you enjoy going to gym, making fiends who have similar interests, eating tasty, healthy foods and celebrating small victories everyday. Enjoying your new lifestyle makes self-discipline easier. Its never discipline you need, its love. If you love building muscle, then you will automatically develop the required discipline. "Enjoy the Process, the Rewards will take care of themselves". There is a simple rule I follow. "If you don’t enjoy it, don’t do it." Although we do have jobs/some areas of job which we may not enjoy, yet still do, bodybuilding is NOT one of them. You have to thoroughly enjoy the process. What happens if you don’t enjoy it? It becomes a chore. You will need motivation all the time. Eating becomes a pain. Sticking to regular training becomes hard. You give up and pick up, only to give up again. Do that a few times, then you might give up completely thinking all those great muscle stories are for others, not you. And you might accept your body forever, although you will never be happy with unfulfilled dreams. What a difference fun makes! It makes your muscle building worthwhile. And thats how it should be. Although there are no short cuts to hard, intense training sessions, you can learn to love the pain. For most muscle builders training comes easy. Most love to train, but its eating and recovery that needs motivation and direction. But don't worry, there are ways outside the gym to enjoy the muscle building process. Bodybuilders have a wrong notion that they need to survive on chicken, rice and broccoli 6 times a day to build muscle. Since shunning the low fat, high carb/protein approach in 90s many bodybuilders have found muscle eating very satisfying. How? Bodybuilders have discovered tasty muscle cooking. They have also realised the importance of fat both for building mass and preparing tasty food. And the rest is history. We have bodybuilders breaking world records year after year in terms of size, symmetry and build. Enjoying tastier foods and loving the good fats have played a big role. To learn 5-10 tasty muscle recipes which you can cook in as little as 15 mins. 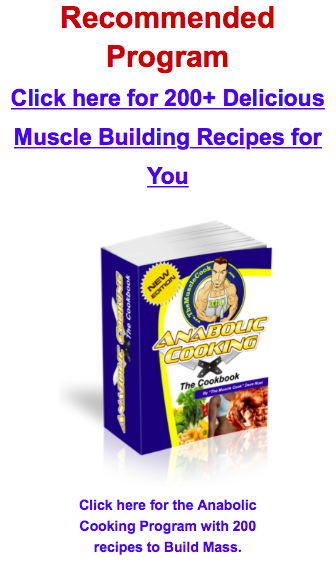 Anabolic Cooking has over 200 muscle recipes for breakfast, lunch/dinner and snacks. And they are immensely tasty. Try them, muscle nutrition will never be the same again. Had a great training session? Pat your back and see yourself in your new body. Ate your calories perfectly? Give yourself a treat. Feel the small victories. They will fuel big victories. Rewards reinforce efforts and Any action completed releases endorphins which are your feel-good hormones that make you feel great. 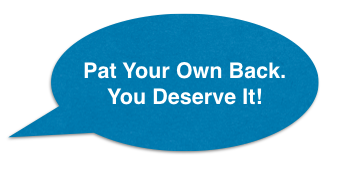 Find ways to reward yourself after every successful action. This can be he motivation. 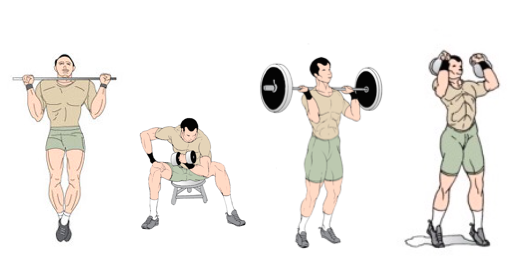 We aim for bigger muscles only for one reason - to look great. So go out and buy few cool new shirts and see your motivation kick in. Imagine yourself in your new clothes. Do at least window shopping every week. Whatever you do, do celebrate your actions and momentum will take care of itself. For a long time I cursed my skinny body. Why me, why me was the only question in my mind! One day I realised that my body is all I have. How can I curse the only thing I have and the thing which I have high hopes for! I started to accept my body and strove to improve it endlessly. And that is the key, Don't just accept things, but vow to make them better. Remember there are people in worse situations than us but who are trying their best to get ahead in life. There are people who are in similar shape but worse circumstances who are working harder than us to build their dream bodies. I met a type 1 diabetic patient who was trying to gain weight. On realising how difficult it was for him, my heart sank. But on knowing how hard he was working to get in shape, my heart was jealous. I got angry on myself and my excuses only to realise how lucky I am to be healthy and normal and was making excuses! So remind yourself of all the blessings you have. Make a list of 5 things you are grateful for and read it every morning. Life will become little easier. So be thankful and wonderful things will happen to you. If you want to get most out of training and life in general, then try the Live Large Program which helps you live large in gym and life. I highly recommend it. Don’t make bodybuilding a painstaking process. Bodybuilding is a highly rewarding activity but make the journey the reward. Enjoy the process, embrace the new lifestyle and live life fully. Do what you can with what you have, better things will soon follow. Never give up. Never ever give up! 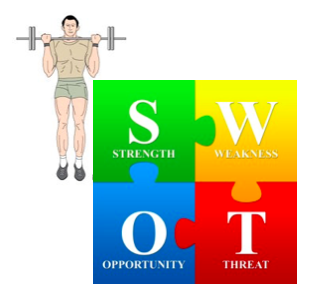 Ready to Build some solid muscle mass and begin enjoying your life? Then check out the video below.